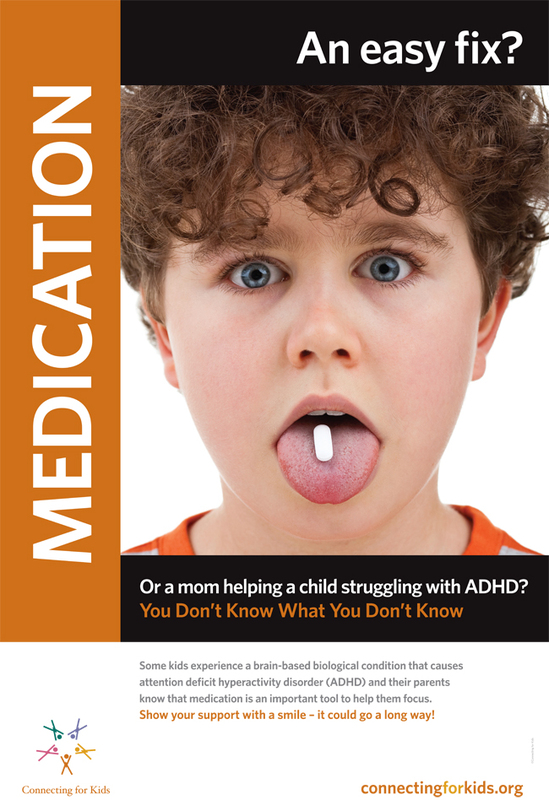 The poster shows an image of a child displaying a medication capsule on his tongue. The text above and below the image reads "An easy fix? Or a mom helping a child struggling with ADHD. You don't know what you don't know." Immediately below the main image and text is a short passage explaining the poster. It reads: "Some kids experience a brain-based biological condition that causes attention deficit hyperactivity disorder (ADHD) and their parents know that medication is an important tool to help them focus. Show your support with a smile - it could go a long way!"